Thai Burrito is in Lincoln Park located at 2439 N. Clark Street. Around 3pm on a weekday afternoon isn’t a time when a lot of restaurants are open in Lincoln Park. Most of the restaurants we were interested didn’t open until 4:30 or 5pm, and since it was cold we weren’t really interested in standing around and waiting for an hour and a half or more. We walked past Thai Burrito once, a little confused, then back tracked when we noticed all the other sushi or asian restaurants were closed. Their sign was a banner saying from the creators of Oodles of Noodles, which I haven’t been to. 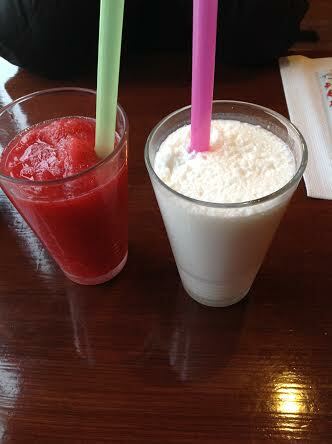 I ordered a coconut smoothie and my friend ordered the strawberry. I was pleasantly surprised, my coconut smoothie was sweet yet still had that dry taste of coconut and even had small bits of coconut in it. It’s one of the best coconut smoothies I’ve had taste wise. My friend doesn’t even like coconut and said she’d drink all of it. Her strawberry smoothie was also really good. 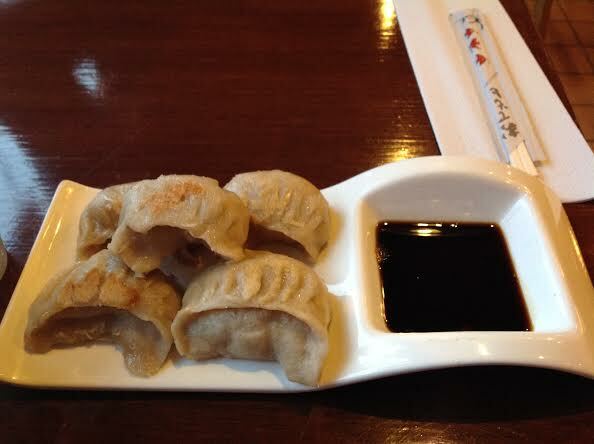 We split some of the pot stickers which I was surprised were huge. They had a doughy taste that isn’t bad and the sauce has a sweet taste. 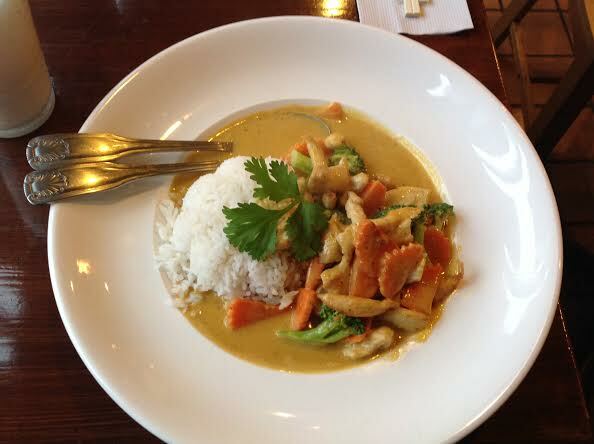 I ordered a yellow curry with chicken and rice. It was a mild curry that wasn’t very spicy and I enjoyed it. The restaurant was pretty empty, but we went at an off time. They gave us a discount for paying with cash (they have a sign up saying a 10% discount for purchases paid in cash). There are cups with napkins and chopsticks in them at every table and each dish came with silverware. We sat down and they brought our food to us.